Labels: Atlanta , COO profile , Girl Scouts , Interview , Vikki Millender-Morrow. the interview. As we searched, we began talking, and she gave off a kind, caring, and professional air. Eventually, we found a nice space, and we were able to begin. 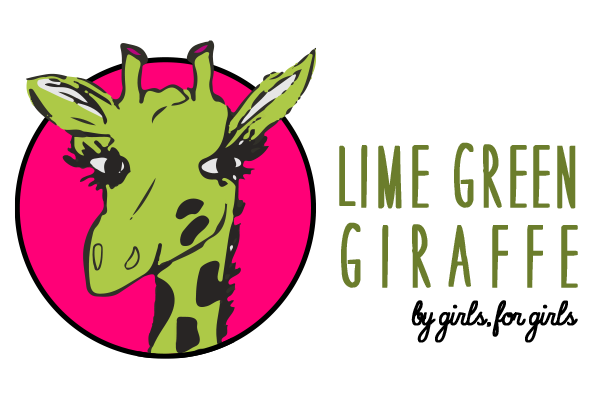 Lime Green Giraffe: For those who don’t know, can you please describe the role of the GSGATL Chief Operating Officer or COO? Millender-Morrow The Chief Operating Officer at Girl Scouts of Greater Atlanta is responsible for really the mission-centered aspects of the council. So I’m responsible for all of membership, that’s recruiting and retaining existing girl and adult members. And, our council has a little over 60,000 members, when you include the girls and the adults together. In addition to that, I’m responsible for making sure you have access to the Girl Guides and the uniforms, etc. The Badge and Sash stores, which are our, Girl Scouts of Greater Atlanta retail stores, are part of my responsibility. I’m also responsible for our programming experiences. We have council-led programs, like our STEM program, cookie Rally, etc. Those types of programs fall under my jurisdiction and many other smaller programs that are council-led. I’m also responsible for camp, so not only our council-led programs but our outdoor programs. We have four phenomenal camp sites, actually five, but four of them where we have resident programs as well as day camps that are a couple of our facilities for girls. I’m also responsible for the wonderful Cookie Program! We also have our fall program, which we call Treats and Keeps, and in addition to that our cookie entrepreneurship program that we have for our girls. In addition to that, I have Customer Care, which we have an 800 number for any calls and we also have direct emails that come into council with questions. So, I think that’s about it. LGG: Why were you interested in this position? M-M: Well. I have been interested in girl-centered and women-centered organizations all my life. I’ve just always loved empowering women that were younger than me or that have worked with me as well as young girls. I spent 20 years as an engineer at Bell South, which was a phone company that now AT&T owns. And after that I was on the board for an organization called Girls Inc. And for the last nine years I’ve been working in the nonprofit arena at girls serving nonprofits. I just love watching other girls grow, and I get inspired and get the chance to grow just as much as they do. LGG: What do you hope to accomplish as COO? M-M: We want to make Girl Scouts available for every girl that’s interested. 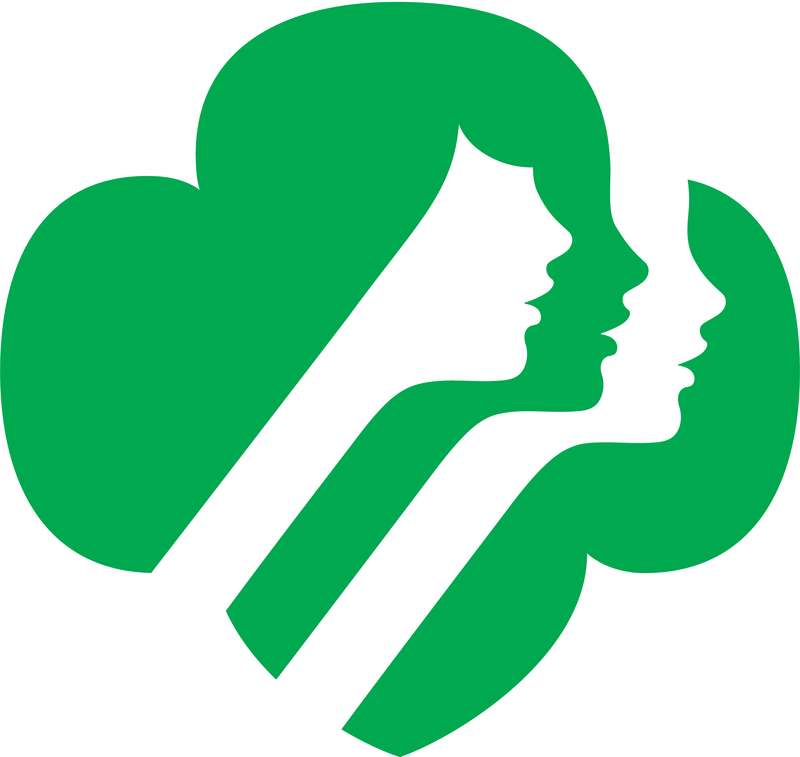 We find that there are so many girls who can benefit from Girl Scouts, and they aren’t able to generally for two reasons: they either don’t have the money for a Girl Scout Experience which includes membership dollars, uniforms, books, trips, etc… or they don’t have an adult leader, a troop leader, to help lead their troop. So we want to do everything we can to make sure that we have the financial resources to support any girl that is interested in Girl Scouts, and we want to make sure that we have enough adult leaders to lead troops and to help girls create wonderful experiences. LGG: What in life has prepared you for this leadership position? M-M: I have to be honest and say its maybe two main things: great parents and I’m originally from Birmingham Alabama, born in the sixties in a time where there was a lot of unrest like there is in our country today and so I always became, as a result of the Civil Rights movement, interested in helping what I considered the underdog, people that needed help. So that really influenced me and prepared me for helping folks that needed a little more assistance. In addition to that, working for a telephone company, I mentioned to you that I had 20-years at Bell South and I started out as an electrical engineer. I did that for a couple of years, and I also had sales positions, and I had marketing and project management positions. Through those different roles that I had, I got a chance to understand finance, marketing, sales, and my engineering background gave me great analytical skills. That foundation that I built, working for 20-years at a wonderful company with great values, really prepared me for Girl Scouts. LGG: How did you initially get involved with Girl Scouts? Were you a Girl Scout yourself? M-M: I was not a Girl Scout, but my first job in the nonprofit arena was with an organization called Girls Inc. and Girls Inc. is an organization that also inspires girls. I was the CEO there, and their mission is that they build girls that are strong, smart, and bold. It’s very similar to our concepts of Courage, Confidence, and Character. So that’s how I originally began to become interested in helping girls and working with girls. 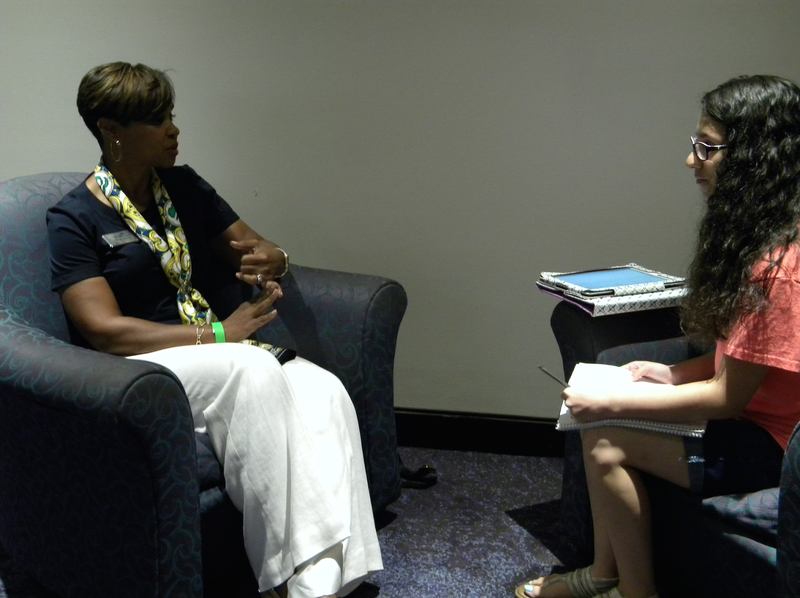 Then a friend of mine who was working in Girl Scouts recruited me, and she said, “I think you would be a great fit for the Girl Scouts organization.” So I interviewed and Girl Scouts of Greater Atlanta CEO, Amy Dosik and she hired me two years ago. LGG: What does the Girl Scout motto of Courage, Confidence, and Character mean for you? M-M: When I think of building girls of Courage, Confidence, and Character, it resonates with what I believe is important for a young girl. Courage: to take risks, to take chances. What I find often is that women, as well as young girls, aren’t willing to take as many chances naturally. So for Girls Scouts to build programs that give girls the opportunity to start taking risks and to accept challenges and to learn how to lead is so very important. Confidence: you develop confidence when you have an opportunity to try new things and succeed. But you won’t always succeed, and that’s part of building that confidence to know that you can try things even if you fail the first time. You can build new skills, gain new knowledge, and then end up succeeding in whatever you were trying to do. And Character: you know character is such a foundation for what is important to all of us. All you have is your reputation, and developing a great character, and that’s coming off the foundation of excellent values, the things that Girl Scouts talks about all the time. I think it’s all really foundational and important. LGG: If you could give one piece of advice to a Girl Scout, what would it be? M-M: If I could give one piece of advice to a Girl Scout, I would say to try as many experiences as you can. I think the Girl Scout Cookie program and our fall sale program really give girls the confidence to know that they can ask for what they want. Girls also learn to strategize, work with a plan, and build the skills to be a great businessperson and an entrepreneur. I’d say the next thing I would want every Girl Scout to do is to experience camping and going outdoors. That’s one of the great treasures of Girl Scouts that not enough of our girls take advantage of. Only about 5% of our girls come to our wonderful camp facilities. And so it starts with an outdoor experience that’s overnight and then leveraging that to more traveling experiences, whether its to Savannah or to Our Chalet in Switzerland or all of the other wonderful places you can go to in this country and in this world. It just builds a broader person. leadership positions and doing positive things in the world and really making an impact, so how does it feel to be a role model in that sense? M-M: I think it’s fantastic! I didn’t come into this work thinking that I would be a role model, but its been a wonderful perk of coming to a job that I love and that’s missioned centered. Using my skills to make the world better and to make people better, but then to know that people look up to me and know that if they see me in a certain position when they don’t see as many women of color in positions like this, that I can serve as a role model and let them know that they could inspire to do what I’m doing and more, you know it’s a wonderful privilege that I don’t take lightly. And I think it is important for people to see diversity in every place of leadership. We don’t often see enough of that. LGG: Last question, and this is very important: what is your favorite Girl Scout Cookie? M-M: Trefoils, I love our shortbreads! 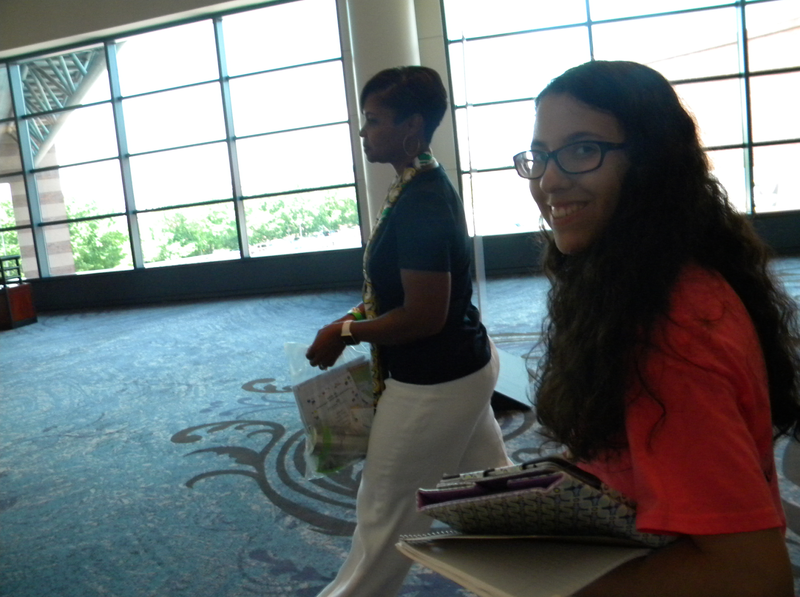 Thank you to Ms. Vikki Millender-Morrow! You are truly an inspiration, and after interviewing you I feel even more proud to be a part of such a wonderful program that strives to build girls of Courage, Confidence, and Character.